Guide: bulk Promotional Werther's Original prices. Filled with 12 Werther's Original sweets. 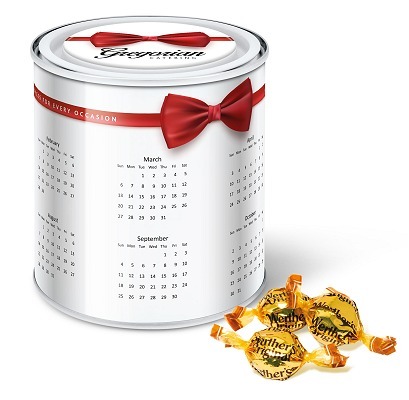 A large paint tin (90mm diameter x 99mm tall) is fully branded with a promotional calendar wrap around the tin and dome label on the lid.